BOOM! Studios and Nickelodeon today announced a new partnership that will see the award-winning publisher produce comic books and graphic novels based on a number of the network’s original ’90s animated shows. The first comic book comes to market this October with Rugrats #1, featuring all-new adventures of the most intrepid toddlers to ever bust out of a playpen! 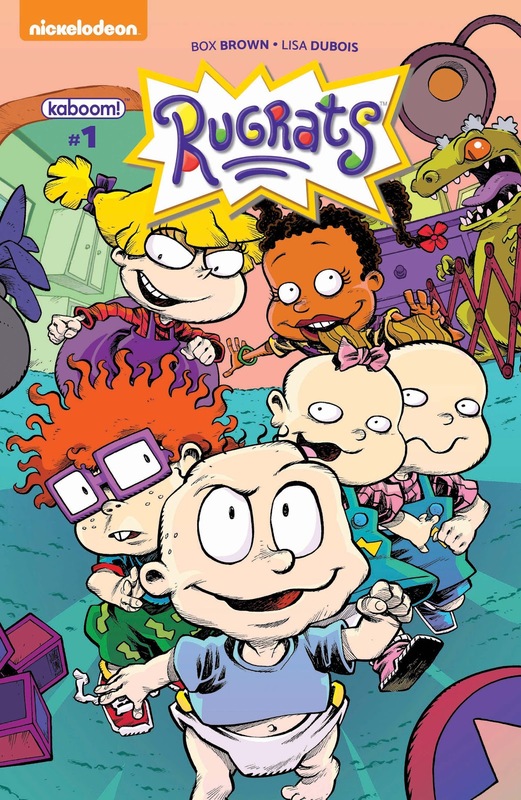 In Rugrats #1, from award-winning writer Box Brown and rising-star artist Lisa Dubois, Tommy, Chucky, Phil, and Lil have noticed something—they are being watched. Somehow their parents can see every little thing that they do. They’re going to have to find a way to have fun while avoiding the electronic eyes of the babycam! Rugrats #1 features covers by Jorge Corona (The Flash), Shelli Paroline & Braden Lamb (Adventure Time), and Art Baltazar (Tiny Titans). It will be available for sale at local comic book shops (to find a shop near you, visit comicshoplocator.com) or through the BOOM! Studios webstore. Digital copies can be purchased from content providers including comiXology, Kindle, iTunes, Google Play, and the BOOM! Studios app. Rugrats #1 is scheduled for release on October 18. BOOM! Studios’ agreement with Nickelodeon is the latest licensing partnership to fall under BOOM! Studios’ KaBOOM! imprint, publisher of acclaimed, all-ages licensed series from a lineup of all-star content providers. As the fastest-growing publisher in the comic book industry, BOOM! Studios is the leader in innovative all-ages comics publishing, delivering high-quality licensed and original series from top creators. For news on Rugrats and upcoming Nickelodeon comic book series from BOOM! Studios, stay tuned to www.boom-studios.com and follow @boomstudios on Twitter.